Will Gompertz has a commentary on the forthcoming BBC sitcom 'The Detectorists', ' about a couple of middle-aged men with a passion for metal detecting'. 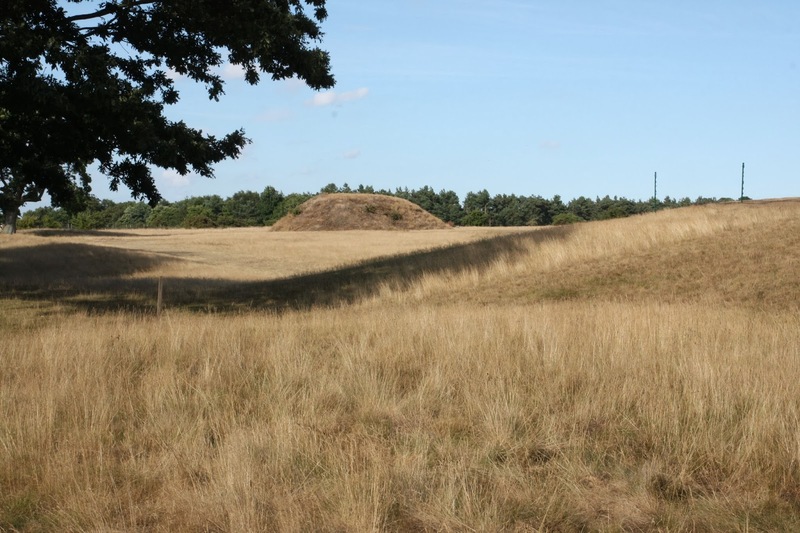 The latest number of Saxon (the Newsletter of the Sutton Hoo Society) [59, July 2014] has a feature on the programme noting it is about 'two metal detectorists who dream of finding a priceless Saxon hoard'. Are we conjuring up images of Sutton Hoo, Rendlesham, or perhaps even the Staffordshire Hoard? The series has been filmed in Suffolk, Norfolk and Suffolk and will apparently feature Orford and Framlingham. I could think of a couple of walk-in parts for the series including the North American collector who acquires Roman bronzes dug up from a Suffolk farm. But perhaps I am moving away from fiction.